Last night i watched the movie, Memoirs of Geisha. Its a very well made movie, with a rich story line. I loved the work of the camera, the cinematography, lighting as well as the scenes. The Japanese architecture and everything was captured in sublime beauty. Its a movie on the life of a Geisha. 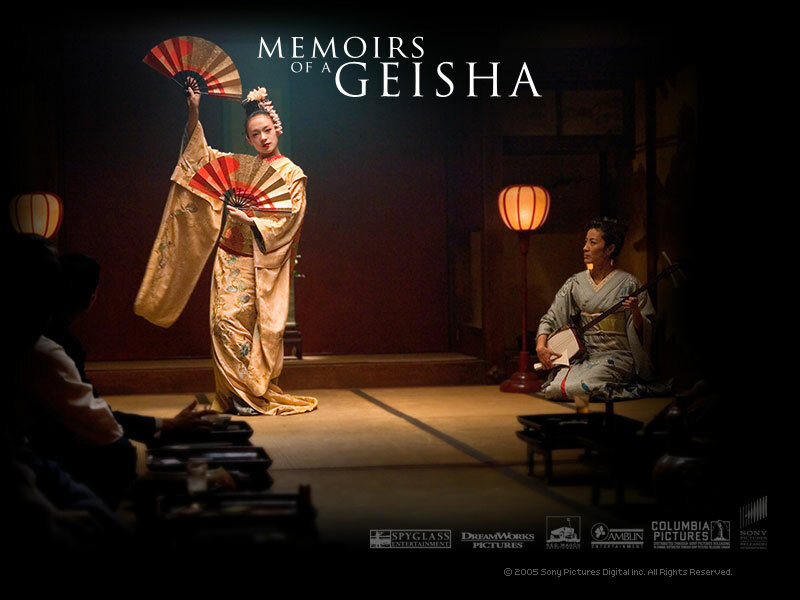 The very word Geisha means artist. They are very high class prostitute who sell their beauty and skill more than their body. They are priced very high since they have certain skills only found in refined artists. Among the things that drew my attention during the movie, was the scene when the main the young girl (who later become Geisha) was very sad and was standing at a bridge. Then a person known as Chairman in the movie noticed the sadness in the girl. He came to the girl and started a conversation. He invited the poor girl to a sweet ice-cream. 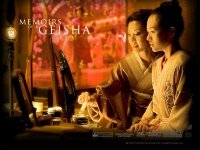 The girl of age 9, who upto that time didn't properly knew what Geisha was, saw the two Geisha accompanied the man. The girl loved the chairman so much that from emptiness she suddenly found a purpose of her life. She knew right then that she wants to be a Geisha and only to get close to that chairman. This scene reminded me the very fact that how a small act of compassion (noticing a sad girl in the busy street, speaking kindly and presenting an ice-cream) can change another person's life in a profound way. It all depends on how much genuine love and compassoin you put into the action. What more joy can it bring to anyone when we can have impact on another person's life in a positive way? Immediately after that scene, the girl ran to a temple (with some good amount of money gifted to her by the chairman) and put all the money to god and prayed. She prayed in all her innocence so that she can become a Geisha and one day can see that chairman again. That money was not small and for a poor girl like her it meant a lot. But there lies the beauty of inner innocence. She poured all her money to the temple to ask god to fulfill her dream. It was so lovely to see. And guess what? Her prayers were answered in a very elegant way, just as all prayers are answered (often un-noticed and the most mystical way). You have to watch the movie to appreciate the beauty of it. I'm sure, u will love it. What else i loved in the movie? Well a few other things. Among that i loved the way human character is potrayed here. Chairman, Nobusan were two interesting character. Also how some humans are like woods (well grounded to earth) and some are like waters (determined, powerful, fluent).